May the new year bring you happiness. Also don’t forget to keep your resolutions like researching your family tree. 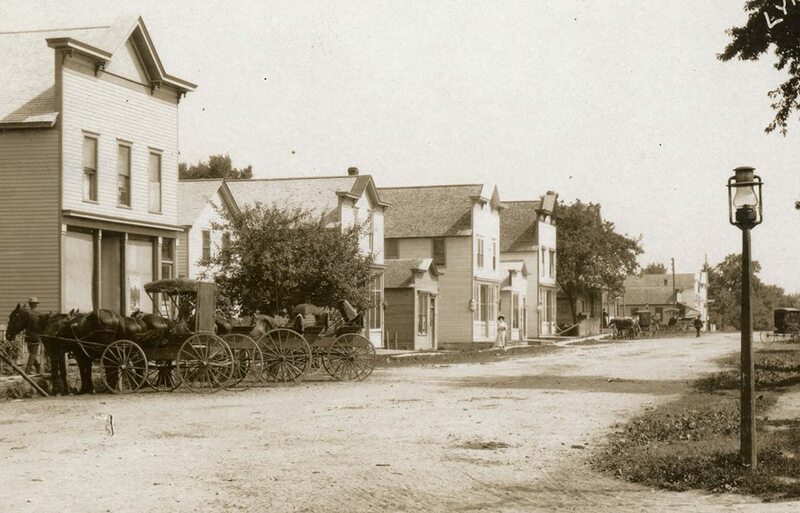 Lyndon Station, WI main street looking north in 1908. In 1908 my Grandpa August H. Rettammel, Sr. lost his first wife, had two young daughters and moved to Lyndon Station to be closer to his father and brother. My grandma Ernestina Wendland was born in Lyndon Station and soon would meet my grandpa and marry him in August 1909 at the Lutheran church in Lyndon Station. Hi Dianne. Finding more about the Felix side of our family. This side is related because Elsie’s father and my grandpa August H Rettammel, Sr mother was named Louisa Felix.